Posted byEric Mesa	 13 Apr 2008 1 Comment on Hello Kitty Hell! Recently, a coworker of mine showed me the website Hello Kitty Hell. This is a website created by someone who’s wife sells Hello Kitty items. If there is a young girl or, occasionally, woman in your life who is into the Hello Kitty Phenomenon, you doubtless know how much crap there is that can be branded with Hello Kitty and her various companions. Well, you probably haven’t seen many of THESE products. 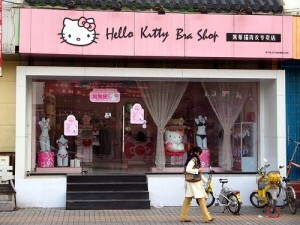 These are, as far as I know, REAL Hello Kitty items and all of them were featured on the Hello Kitty Hell website. 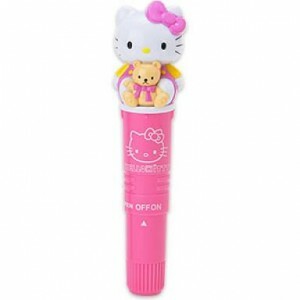 So, first up is the Hello Kitty Shoulder Massager. Er….strange shape for a shoulder massager. Um you don’t think this is for…..I mean you can’t see anyone actually getting turned on with this can you?….um… All I know is that the first version sold so well, they’ve introduced this new updated version. Lots of Hello Kitty Fans with sore shoulders, I guess. This one, I know for a fact, is not photoshopped. I actually saw this in a book about some of the strange fetishes that the Japanese have. I can’t get over the Hello Kitty in the tank with the band around its eyes. Seriously, how could anyone do anything in this Love Hotel? Incidentally, did you know that at one point in the past Nintendo ran Love Hotels? I wonder if they featured Mario and Princesss Peach? The strange thing for me is the fact that they would have SO MANY Hello Kitty bras that they’d actually be able to open up a boutique store and be in business. Also, not only would they have to have enough designs, but there’d have to be enough customers to keep them in business as well. I just can’t understand it. 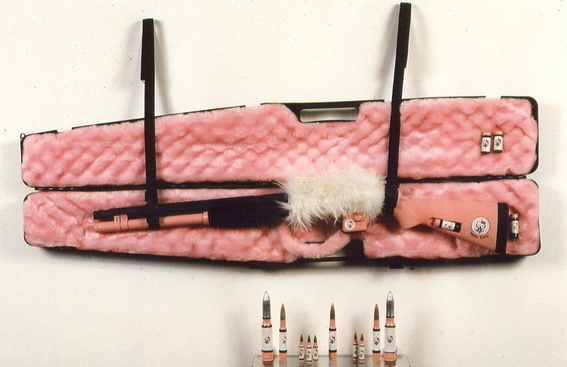 In a post with Hello Kitty in a variety of sexual contexts, I still think that this is the MOST disturbing Hello Kitty item in existence – the Hello Kitty Shotgun. 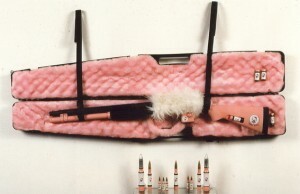 That’s right, how could anyone go to the shooting range in their Hello Kitty shirt, undies, and shoes and not have their Hello Kitty shotgun? I don’t know, but if I ever got mowed down by someone wielding a Hello Kitty Shotgun, I hope they kill me because the psychological damage I’ll have (not to mention the ridicule I’ll have to endure) will be awful. This is just a smidgen of the crazy, crazy Hello Kitty merchandise out there. 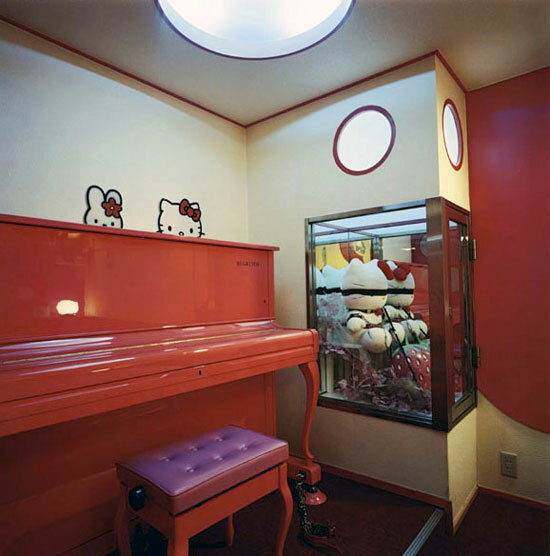 To see more, just visit Hello Kitty Hell. Good day. Just desired to write and mention that I valued this article. I’ll be bookmarking your web page and browsing to find out if you post any unique ones. Thanks so much!